The temperatures are rising, the snow is beginning to melt, your legs can’t take the burn of trying to power through Spring slush anymore and your mind begins to start thinking about warm summer days and golfing! With more players per capita than any other country, Canada has a legitimate if not well recognized claim (probably due to the lack of any well-known professional players) to being the golfing capital of the world! 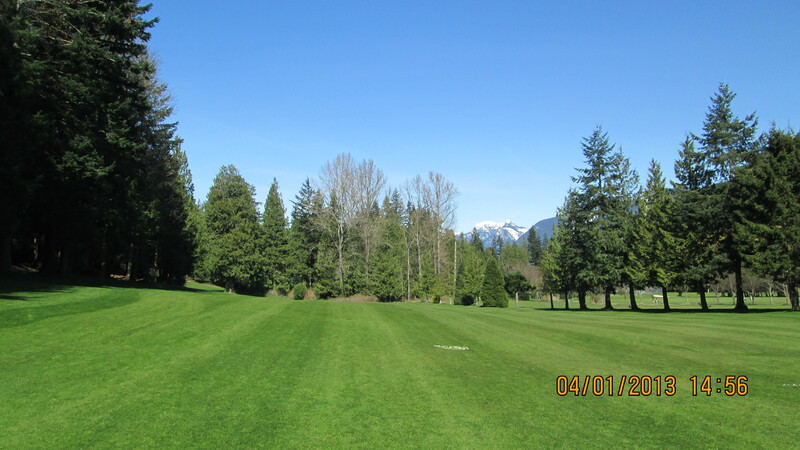 With the sun shining in late March and the mercury topping a whopping 17C we decided to put down the skis for the morning and head to Gleneagles Golf Couse located in well to do West Vancouver (not the less famous one in Scotland) where the crystal clear waters of Howe Sound meet Burrard Inlet. 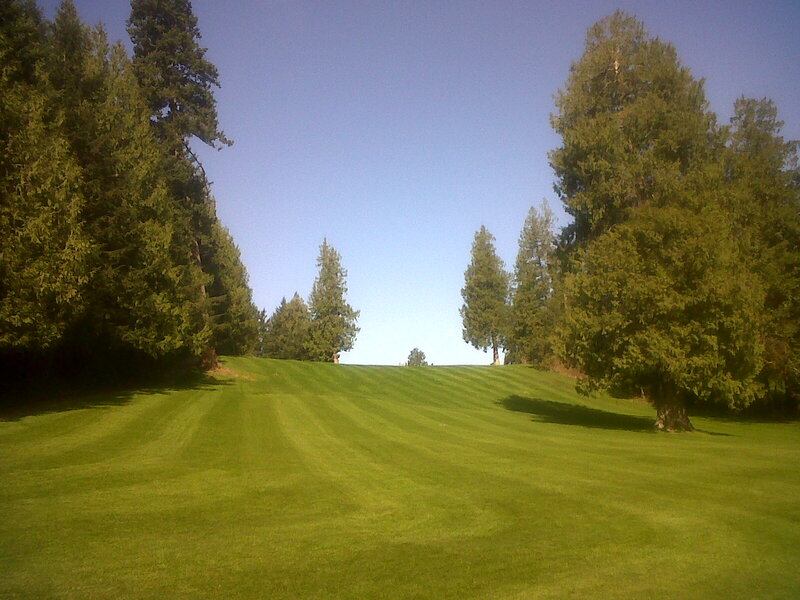 – Gleneagles is the best value course in British Columbia (in our opinion). 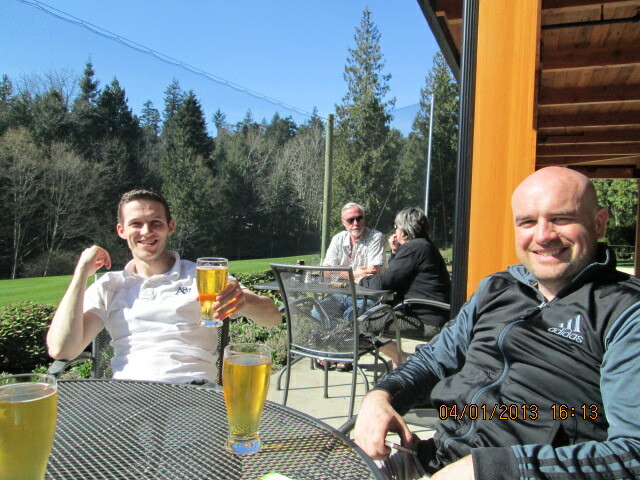 At only $20.25 (after tax) for an adult round in March, the public course is accessible to all and has none of the pretentious rules sometimes associated with elite golfing clubs such as not being able to wear a collarless shirt! – The course is only 9 holes, has a Marshall to keep people moving at a decent pace and takes just under 2 and a half hours to play which means that it will keep any non-golfing significant others in your life happy! 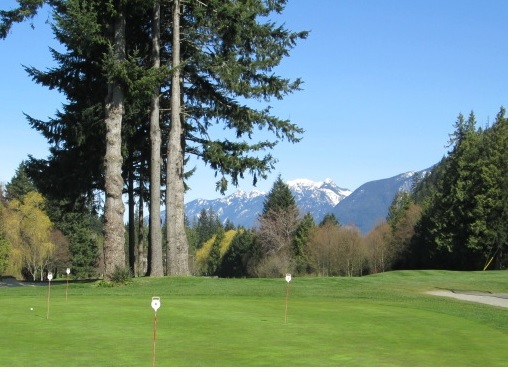 – The course is surrounded by spectacular scenery with the snow-clad Coastal Mountains on 3 sides, and the pristine blue water of Howe Sound on the other. Such a backdrop helps you forget about the ball you just topped a breathtaking 5 yards or the putt you have just missed from a foot out! – The open all year round course is a great place to learn the game. I tend to find by the time I get to hole number 14 on a “grown up” course I am mentally exhausted from having to concentrate too much on such a small object, and am also physically drained from having to dig around in bushes, grass and water hazards trying to find my lost balls! – Although it’s only 9 holes (par 35) that does not mean that the holes are not challenging. 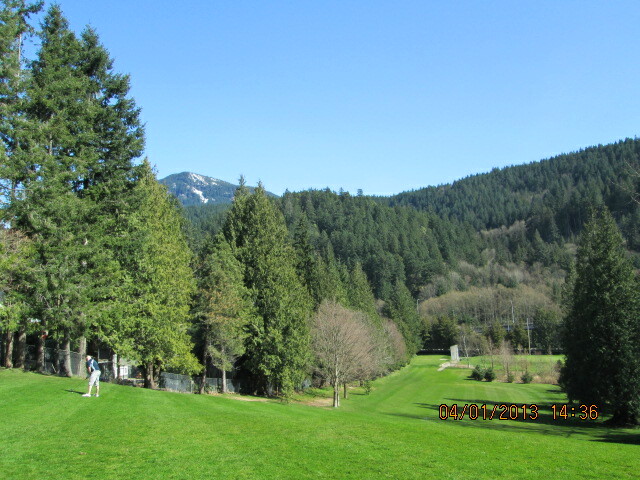 The first has a hidden creek that catches many golfers out, whilst those teeing off on the 3rd hole are faced with what seems like a 100 ft steep hill (aptly named Cardiac Hill) to get up! – The course has a very efficient online booking system which allows you to book 7 days in advance and has a very generous cancellation policy of just 2 hours beforehand. Just make sure you book by 9pm the night before you want to play to secure your place. – Given the popularity of the course with locals, the organizers will always look to send you out in groups of 4 which means that you often meet new and friendly people. In my personal experience, I often find they are keen to give me advice on where I am going wrong! – Gleneagles has a great little clubhouse (yes, I have hit the roof with an errant drive) called the Larson Station offering a full food menu. 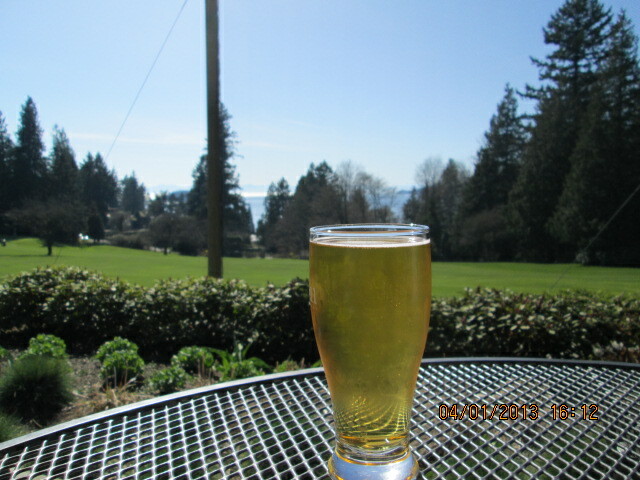 The highlight has got to be the sun decked patio overlooking the Howe Sound and the 6th fairway. You can also hire the venue for private functions; a golfing acquaintance recently had their wedding there. – After one round at Gleneagles, I went and bought myself a golf cart (the budget only extended to one you push not drive!) This reason is that I was so tired after carrying my bag up Cardiac Hill (see below) on the 3rd hole my game fell apart afterwards. Subsequent visits with a trolley have shown that my game is still not very robust but at least I am not as tired! Trolleys can be hired for $5.25 from the club shop. – Last year I played with a US work colleague who hits a golf ball like he is knocking down a 10ft wall. Excited to being playing a 100 yard pitch into the final green, he caught the ball “thick” so to speak and sent his scud missile into the car park behind….the sound of a hard ball bouncing off car roofs and windshields thanks to the absence of any kind of netting means I don’t recommend parking your car near the 9th green! – Despite a lack of nets on the 9th green, the course has a few “house protector” nets notably on the 1st and 2nd holes. If you have a natural slice like me these can often help out with trick shots which enable your ball to bounce back into the centre of the fairway! – It’s wise to make sure you know how to get to this course (see map). On my first visit to the course, my friend’s iphone placed the course in the middle of the ocean. Another friend who has lived in the area for 10 years ended up half way to Squamish on Highway 99 before realising his mistake. Give it time….I am sure someone will end up on a BC Ferry to the Sunshine Coast! – The course is open all year round but I would recommend some waterproof footwear if playing outside the summer months, or maybe that is just me given how often I am in the ditch! So, a great value course surrounded by stunning scenery for those who are learning, or those who only have time for quick golf fix.